Let’s face it, we all get scared sometimes. It’s important not to let these fears stop us from following our dreams and having experiences of a lifetime. Setting off on a bicycle tour is a grand adventure that can incite equal amounts of excitement as it does anxiety in a person. The world is not paved with miles and miles of glorious bike paths, far from cars and the dangers that riding near them brings. The truth is, if you plan to ride in developing countries, more often than not, only a thin shoulder will be between you and high speed traffic. That’s if you are lucky! HOW TO OVERCOME: Start riding your bike around your hometown. This could be to grab the groceries, meet up with friends…whatever, just get out there a few hours a week. This will give you confidence and teach you how to ride with traffic. You don’t need to be in neon green head to toe (studies actually show that high-vis clothing does little to prevent accidents) but you do need to be cautious. One of the best safety items you can carry is a mirror. If a car is coming up too close, you can spot it and move off the road. 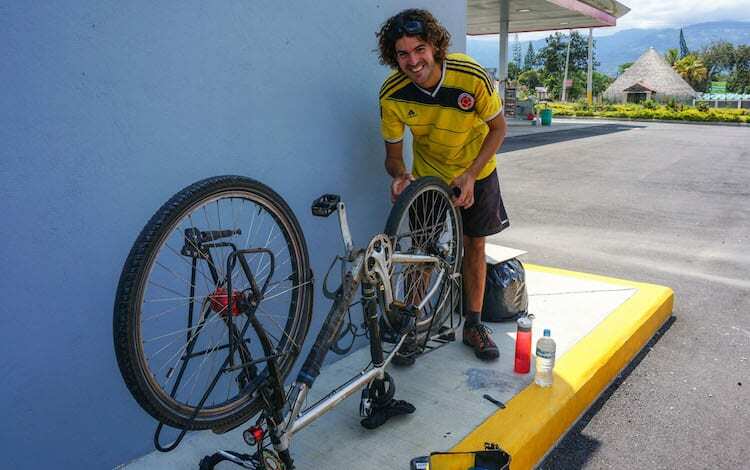 EXPERT TIP: Álvaro Neil, the Biciclown has found in his 10+ years of bicycle travel that having a moving object on the back of your bike is more effective than bright colors. He uses a spinning flag. 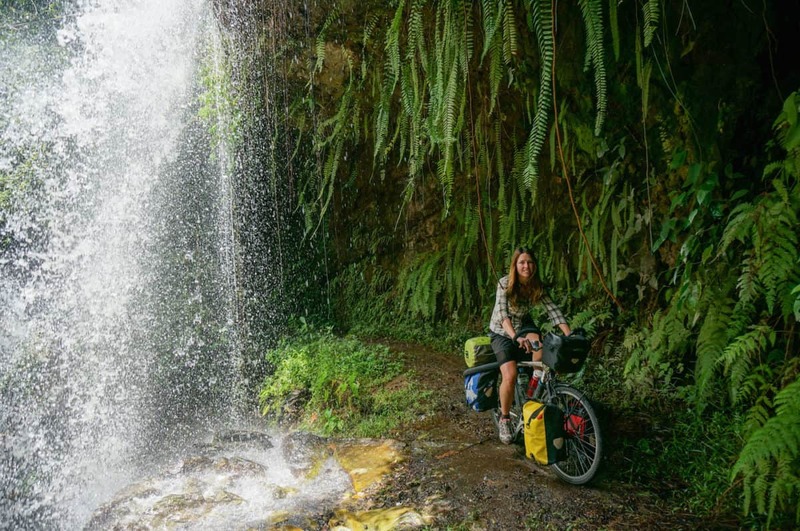 Bicycle touring can take you to remote places. This solitude can be a gift but can also cause loneliness. While there are plenty of opportunities to chat with the local people you encounter, the fact that you are always on the move can leave you feeling disconnected. HOW TO OVERCOME: If you are a highly social person who fears loneliness, finding a cycling buddy is one solution. Even if you don’t have any willing friends or family members, there are many ways to find a companion. 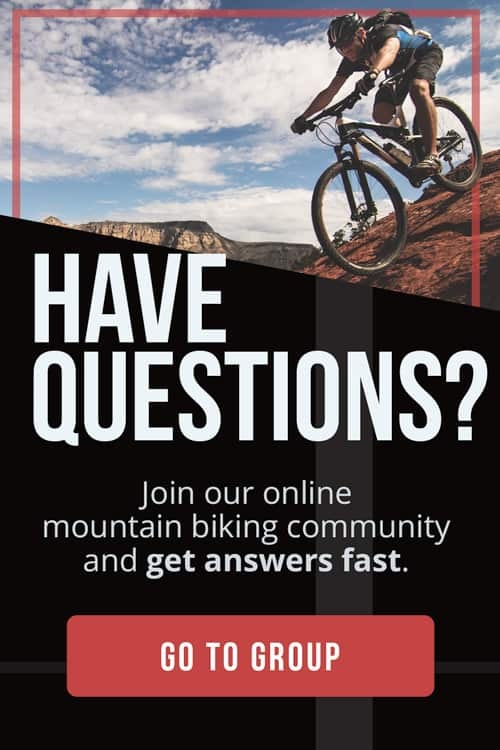 Websites and Facebook Groups like Crazy Guy On A Bike, Warmshowers, and Expedition Bicycle Touring are great places to connect with others and potentially find someone to ride with. EXPERT TIP: Heike, the author of PushBikeGirl recommends if you have difficulties being alone, pick countries carefully. Either go to places where there are more tourists or where there is the change that people speak English. It can be tough crossing a country like China without being able to talk for months. But even then, I developed a way to feel comfortable. 1. Get entertained with music – I am carrying a speaker – it helps a lot. 2. Carry any electronic device where you can read, write and being able to communicate to the outside world. 3. Try to stay with the locals in their houses. 4. Learn at least a few words of the foreign language even if body language is working everywhere. 5. Give yourself a task. A blog, cycling for charity, do volunteer work….anything what keeps your mind busy. 6. Use the warmshowers community – hosts speak usually English. 7. I always feel more lonely in cities than in remote areas – it might be the same for you. Find your own comfortable environment if things are getting too hard. 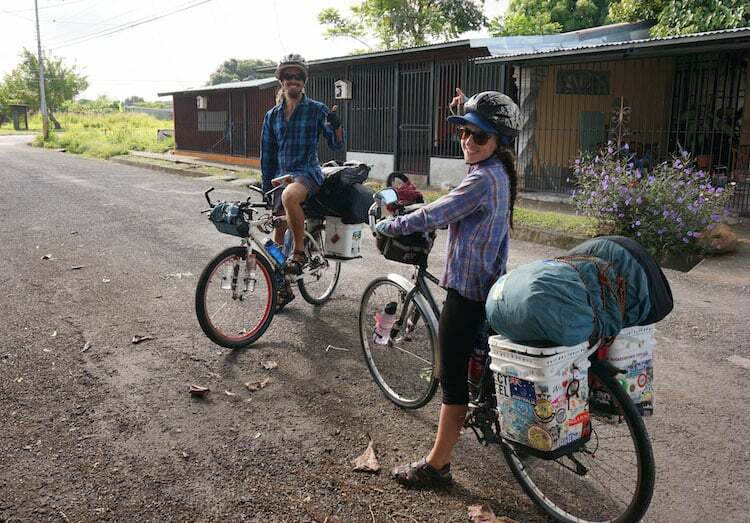 Navigating the vast network of highways and backroads in a foreign country can make anyone nervous, especially on a bicycle. Taking a wrong turn and losing your way is a big fear first timers face but is one of the easiest to solve. HOW TO OVERCOME: Even if you aren’t an expert navigator you don’t need to fear getting lost. Aside from having a detailed road map, one of the best ways to find your way is to ask someone from the area. Learning the basics of the language you are traveling in is a huge advantage, especially when it comes to asking for directions. If no one is around, another tool you can use is a smart phone. We’ve found that loading google maps is a great way to see where you are and where you would like to go. The phone is much easier to use than a GPS and is multifunctional. Fulfilling our basic human needs is something every aspiring bicycle tourist should be concerned about. While you might not find the same food that you would back home, that’s all part of the adventure, right? Many people have asked us how do we find food. What about hotels, do we make reservations? 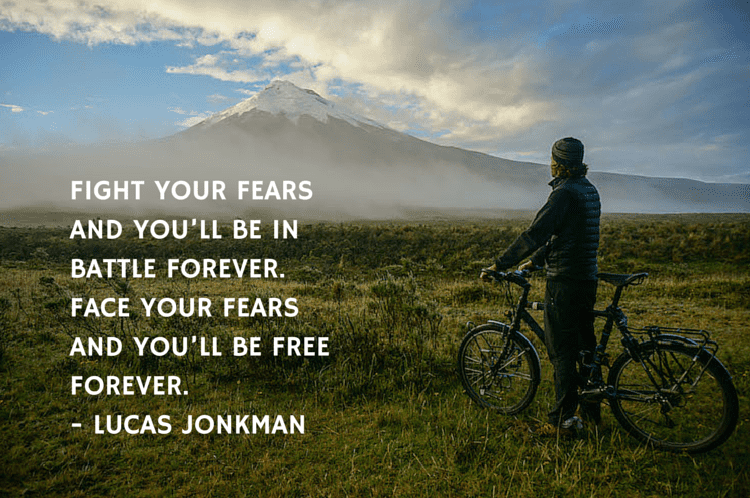 While experienced bicycle tourist might laugh at these questions, these fears are very real for someone who has never ventured out on a bicycle. HOW TO OVERCOME: Everyone has to eat, so you can find food anywhere there are people. In Latin America, local markets are a great place to find fresh and inexpensive produce. Often times there are also stalls that you can get an entire meal for only a few dollars. When we know we’ll be far from cities, we stock up on pastas, dried soups, breads at the grocery store and use convenience stores in small towns when we run low. As for sleeping, you can either spring for a hotel room every night or get creative with camping. In some parts of the world, it can be difficult to find traditional accommodation outside the tourist hubs, but don’t worry, there are plenty of other options. 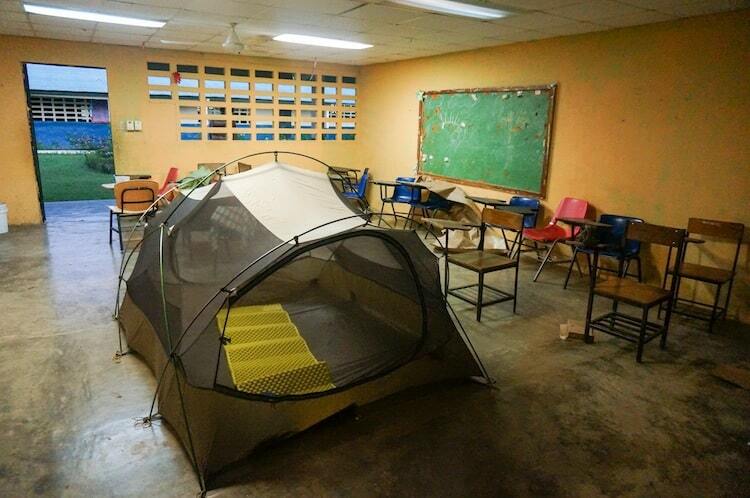 Carrying a tent or hammock will allow you a lot of freedom. While there isn’t always a designated campground, there are plenty of places to sleep, some are even free. To get a few ideas, check out our post about 14 Free Places to Sleep While Bicycle Touring. EXPERT TIP #1: Jane the author of My Five Acres says finding water was a fear for her. She drinks a lot of water and pictured her and Stephen in the middle of nowhere roasting under a hot sun with empty bottles. She says it sounds silly now because finding water turned out to be one of the easiest daily tasks. In Europe, we’d fill our bottles at public drinking fountains, in cafés, or at hotels along our route. At first they were shy about asking, but after a few weeks it just became routine and no one ever seemed put out or annoyed by our requests. In China, they drank the readily available boiled water, which you can find in roadside canteens, gas stations, on trains, and in convenience stores. In the rest of Asia, they had to drink bottled water which is sold at little stalls all along the road. They actually brought along a UV water purifier, but three years later they still have never used it. EXPERT TIP #2: Heike, the author of PushBikeGirl says, “If you can’t find a spot or if you are uncertain of the area or camping wild is not your thing, knock on people’s door and ask if you can pitch your tent in their garden. I normally pick either houses where I can see signs of children or houses where the area is clean, but not too neat. Flowers around the house are always a good sign for friendly people. I carry a translated letter where I introduce myself. Very often, I am very welcome. Sometimes they even let me stay inside and in a lot of times, I am also invited for supper. But I have to admit, it is not working in every country ! Staying with locals is like killing three birds with one stone. You have some company, you get to know the culture better and you have a safe night. I leave a small card with pictures behind and I am always trying to entertain the family as an exchange. Going to a place that you don’t speak the language is scary enough on it’s own, throw in going there on a bicycle and it can cause some serious anxiety. While you can pick up the basics in a few days, the truth is you won’t be able to master every language in the world. HOW TO OVERCOME: The safest option is to start your tour in a region that the same language is spoken in many countries, for example Latin America. A great resource for bicycle tourists wanting to learn Spanish is Pedalingo. 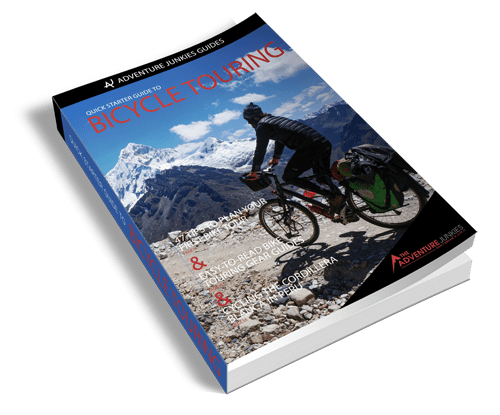 It’s a free PDF written by Gareth, the author of El Pedalero that covers the Spanish words and terms useful for adventure cyclists. If you are traveling in lets say, South East Asia where the language changes every border crossing, learning the language just isn’t practical. In these cases, charades are an acceptable form of communication. If you want to communicate about your trip and perhaps that you are looking for a place to camp, one option is to write a note. You then need to find someone that is fluent in your native language who can translate it for you. It sounds like a difficult process but can be a big step in crossing the language barrier while touring. It’s all too easy to become worried about having the best equipment. The truth is that while there are pieces of gear that can make your trip more comfortable, you need very little to survive while touring. HOW TO OVERCOME: Do some research to find what gear is absolutely essential for bike touring, keeping in mind that what is necessary for one person, might be excessive to another. If money is an issue, check out our post 4 Alternatives to Expensive Bicycle Touring Gear. EXPERT TIP: Dave, the author of Dave’s Travel Pages says, “there is no such thing as the ‘right gear’ when it comes to bicycle touring. 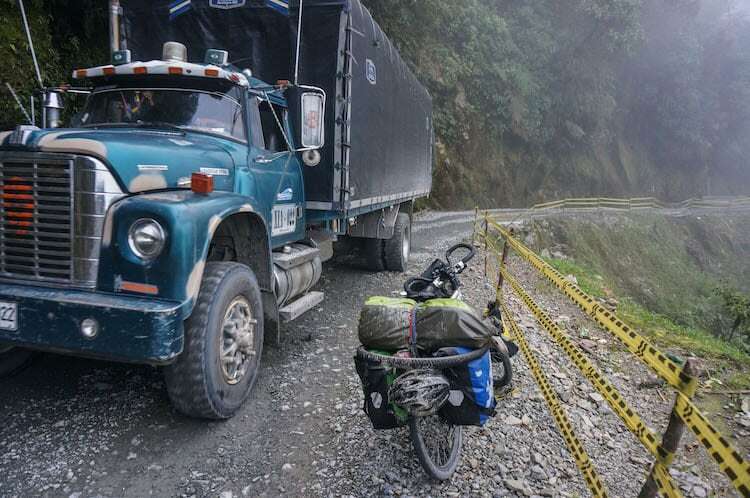 Everyone is different, from the ultra-light cyclists who credit-card tour on road racing bikes, to the semi-nomadic bike tourers of the west coast US, who tow two trailers – One for their gear, and one for their dog! The fear of not being able to complete a long tour puts a lot of people off. Just the thought of pedaling a heavily loaded bike for hours a day can make many people feel unprepared. HOW TO OVERCOME: Take small steps, like ride your bike to work a few days a week. Once you are ready to set off, plan for short days. This will give your body time to adjust to long hours in the saddle. While it’s good to be in decent shape before, cycling fitness can be gained as you go. The truth is that no amount of spinning classes or weekend bike rides will fully prepare you for your bicycle tour. The physicality of the cycling is a minor part of the equation, that you shouldn’t get hung up on. Flat tires and broken spokes are all possible problems you can have with your bike. Not being an expert mechanic shouldn’t get in the way of the joys of bicycle touring. Heck, look at us, we are terrible mechanics and have somehow managed to make it over 16,000 km. HOW TO OVERCOME: The best way to prepare yourself for bicycle failures is to take a basic mechanics course. Many bike shops offer these so ask around. If you can’t find a course, the next best thing is to self teach yourself through books and internet articles. Don’t stop with reading, get your hands dirty. Find an old bike, one that you don’t have to worry about making it any worse. Find out what 5 essential bike repairs you should know and get to work. Change the tires, practice patching flats, change the brake pads and learn how to clean a chain. These are going to be the most common things you’ll have to do anyway. Remember that if you have a problem that you can’t fix on your own, there’s no shame in taking a bus or hitching to the next town. Lions, tigers and bears are what come to mind of the newbie cyclist but more often than not, the worst beasts you’ll face are ankle hungry dogs. HOW TO OVERCOME: Consider where you will be cycling. If you plan to cycle in Canada, for example, bears can be a real threat. Read up on bear safety to learn the necessary precautions and how to deal with an encounter. For more domestic attackers like dogs, I’ve found squirting the mutt with my water bottle or better yet pretending like I’ll throw the bottle at it usually scares them off. Traveling to foreign lands, even without a bicycle can incite a fear of the safety of your belongings. It’s natural to be afraid of the unknown. In many places, you need to take extra care. HOW TO OVERCOME: Be cautious, don’t leave your bike on it’s own and take expensive items with you. The truth is, it’s very difficult for the average person to steal a full loaded touring bike. Remember the first time you road your bike all loaded up? It probably felt awkward and unbalanced. The thief won’t make it far wobbling down the road with your bike. That doesn’t mean that it can’t happen. Thieves can be ordinarily good people who see an opportunity and take it. 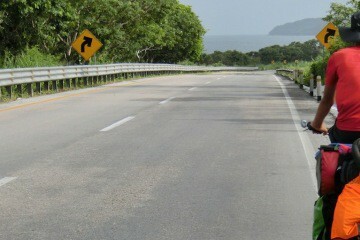 Knowing this, bicycle tourist need to do everything they can to not create these opportunities. EXPERT TIP: Dave, the author of Dave’s Travel Pages has been bicycle touring for over 20 years and has never been robbed. He says, “Thinking about it, I guess that I like to consider all my options, and think through possibilities before doing something. For instance, keeping your ear to the ground about areas which have potential problems is crucial. A good example of this, is a lowland route through Peru, where cyclists have been getting robbed for years. I instead chose a mountain route. I didn’t get robbed, and saw some amazing scenery. What if I end up hating bicycle travel all together? This is a tough one, because it is all too easy to burn out, especially in the first few months. You are so pumped to start your big trip, you fit the road, crank out 100km+ days and end up wanting to throw your bike in a ditch. Why? You’re exhausted, you stop taking care of yourself, you loose sight of your other joys in life and cycling becomes a burden. The truth is many long term cyclists face burn out at one point or another, the actions that you take when you hit this point will determine if you pack up or rekindle your love for bicycle. HOW TO OVERCOME: Remember that bicycle touring is just as mental as it is physical. Sure, you might be fit enough to pedal long days, but at what price? Your well being has to come before covering ground. If you feel burn out coming on, get off the bike for a few days, prepare yourself a delicious meal and do something else you enjoy like hiking or reading a book. Once you are feeling refreshed, get back on the road, this timing looking for warning signs of burn out before they strike. 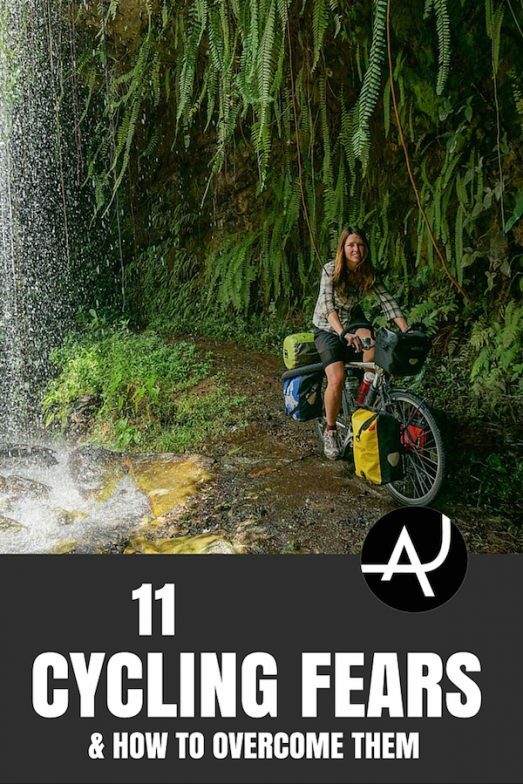 EXPERT TIP: Leah Manning, the writer of Cycle South Chica is a veteran solo female cyclist says she never wants to burn out and take the easy way to get there faster, that defies her whole travel philosophy! Instinct is such a huge part of traveling by bike and she really only seems to make stupid mistakes when she doesn’t plan her route well. She recommends taking your time, taking care of yourself and taking exploratory breaks to prepare yourself mentally for more involved routes. To avoid losing passion she suggests to keep evolving your routes that you take, in her case, this makes the love for bicycle travel grow stronger. 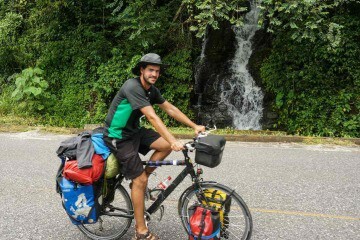 How To Carry A Guitar While Bicycle Touring?